Tokyo, Japan – October 19 & 20, 2011 - Dymek Asia Japan donated 3 lanterns to Japanese shrine in the town for autumn festival called ‘Bettara Ichi’, whose aim is to pray for good harvest and business success. 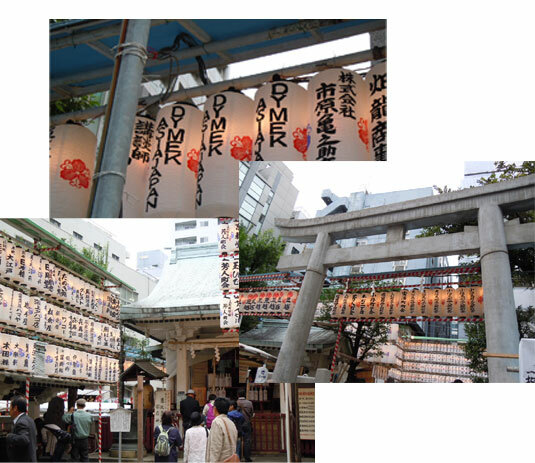 ‘Bettara Ichi’ is a very famous autumn festival in Tokyo and there are 300 years or more of history and tradition in it. Since 100,000 people visit to see the festival every year, Dymek lanterns should become a good advertisement.